This play is set in the 1960s, starting in '62. It goes through several eras, made evident by the music and fashions used - from full skirts, drainpipe trousers and Elvis, through the rise of the miniskirt and The Beatles, to flares and flowery shirts, The Rolling Stones and Aretha Franklin. 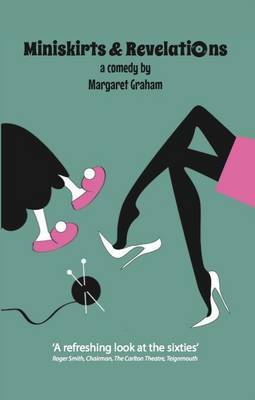 The main characters are the Greenfield family - three generations of women: Grandma, Mother, and teenage daughter Penny. The theme is the different roles women play throughout their lives and their quests for fulfilment. This is a time for rethinking commitments and expectations as waves of disturbing post-war revolutions in politics, morality, fashion and music affect the whole of society. How will Grandma's Victorian values cope with this? Can Mum find fulfilment within her domestic role? Can Penny's downward spiral into ever-shorter skirts and tartiness be curbed? But most intriguing of all - why is Grandma not what she appears to be? And will the Health Inspector dare to touch her gravy? The narrator is Penny in the present day. Her teenage diaries take her and the audience back to the 1960s and her inevitable teenage angst. In hindsight, as so often happens, baby-boomer Penny views these youthful self-centred confidences in a new light. As she recreates this time for us we start to see the members of her family afresh. We witness their amusing idiosyncrasies, their fortitude when coping with unexpected events and gradually Grandma's secret is unravelled against the backdrop of Penny and her brother's own daily dramas and concerns.